I was recently inspired to create the Shamanic Compass Series recently with GAIA as my life experience has led me to be in inquiry around oneness, connection to nature and to the spirit realms. When I was 12 years old, a family friend invited me to a First Nations pow wow in southern Ontario. Witnessing the power of this ceremony through prayer, dance, and song left me in absolute awe and profound inquiry around the ways of spirit. Since then I have been curious and studious into how other cultures pray, connect, and practice spirituality. I had the amazing experience of studying up north with First Nations women about sweat lodges and prayer circles. Years later, I found my way into the study of the medicine wheel of the Qero people of Peru. (thanks to Christine Selda and Mountain Shamanism). Going through the medicine wheel and becoming a full Mesa carrier brought my yoga practice and teaching to another level of inquiry and depth. Connecting with the teaching of the animal totems and the directions has allowed to me to move from the personal to the collective consciousness in a way I have never felt before. The North – How to call in our ancestors and live with Joy! The essence of yoga philosophy is oneness, and the core of Shamanism is pure connection with nature. Weaving in daily rituals and prayers from both of these ancient lineages has kept me inspired, connected and in deep inquiry around the mysteries of life. Click here to read a recent article I wrote for GAIA on the ceremonial aspects of Smudging. 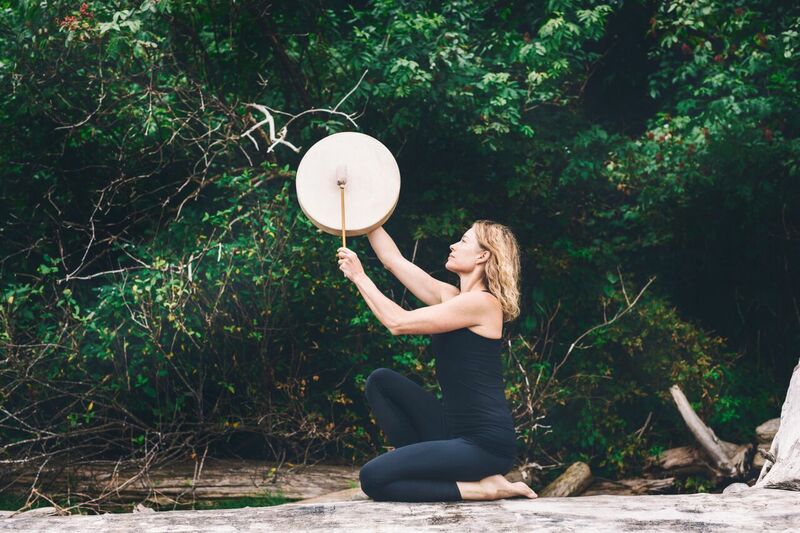 To preview the Shamanic Compass Yoga Series, click here.